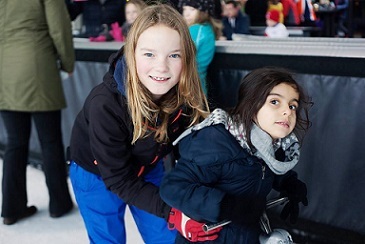 ‘It was a pity that I wasn’t able to communicate easily with the father because of his little knowledge of Dutch, but to see his sons skating, was awesome,’ said one of the parents of a Primary School De Kleine Dichter student who joined the ice-skating event on the Vechtse Banen on the 3rd and 5th of January. On said days, about ninety refugee children and their parents, some of whom live in the asylum seekers’ center and some independently gave ice-skating a try. For most of them, it was a first. However, there were some natural among them. Others fell down at every turn, but got back up on their feet again with a huge smile. 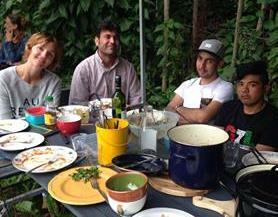 As one of the children said: ‘Skating is difficult, but very nice.’ Twelve volunteers from Welkom in Utrecht helped. From OBS De Kleine Dichter twelve families went along. Children helped children, young people skated with young people, and parents were introduced to parents. 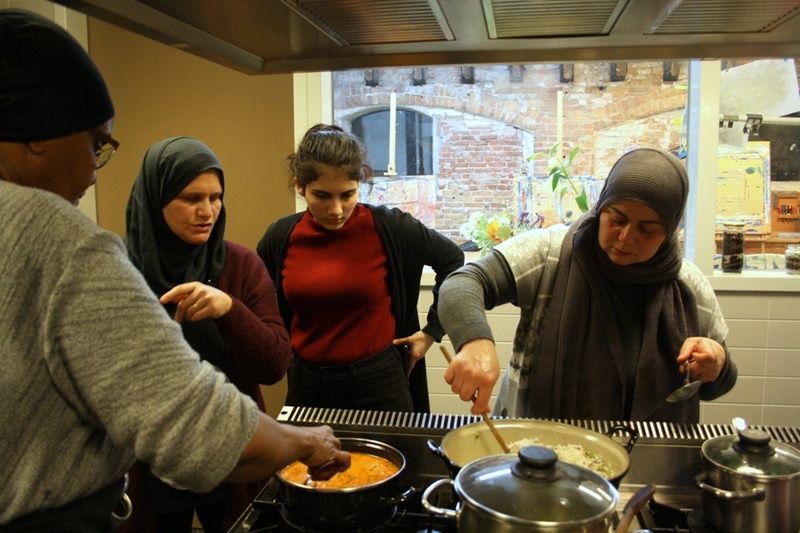 ‘A few days later we already were invited to have dinner with a family in the asylum seekers’ center,’ said one of the Dutch parents. This skating event was the first activity that was funded by last May’s charity run with children from the De Kleine Dichter. Welkom in Utrecht will provide futher activities during the often boring school holidays. 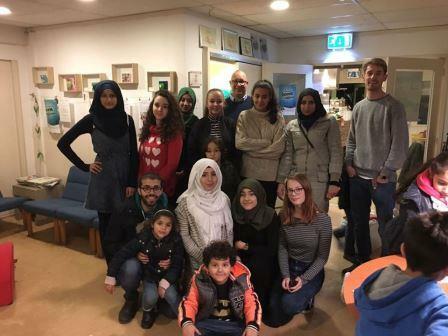 On behalf of the refugees: thanks to the children of De Kleine Dichter !! These are just some examples of the activities. For more, go to our Facebook page.On a chilly Christmas Eve, the wedding hall of Utrecht municipality slowly fills with people. The Utrecht Stadhuiskoor has been rehearsing here every Monday evening for months now 1xwjgzt. Joining them in special collaboration were Amer (29) and Hani (27), two musicians who fled the war in Syria. After conductor Paul Krijnen took his place, the chorus began with some warm-up exercises. Soon after, you could hear the first notes of Part I of Oratorium van een Vlucht (Oratorium of a Flight). 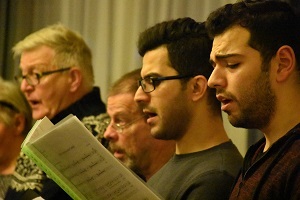 The piece was written in Dutch and Kurdish. Conductor Paul Krijnen considers it important that the Dutch choir members experience what it feels like to learn a foreign language in a short time. It went well. “The choir members worked harmoniously and with great pleasure.” The choir leader is proud of his cousin Kay Krijnen who composed the piece. 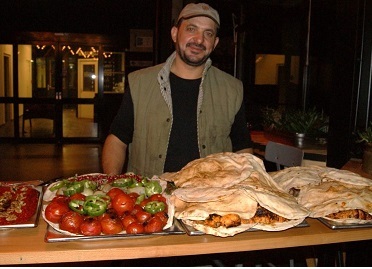 Kay travelled in 2012 with a group of Dutch artists to the Kurdish part of northern Iraq. The trip made a deep impression on him. The hospitality and openness of the people he met during the Kurdish New Year stood in sharp contrast with the violence that later hit the region. Both experiences gave him inspiration for his composition. “Oratorium van een vlucht is a tribute to all those who have the courage to leave their homes in order to build a safer and more liveable existence in a new unknown country,” says Kay. De middag werd georganiseerd door een bijzondere groep teenagers: meiden tussen de 14 en 16 jaar uit de derde klas van het <a href=”http://www.gerritrietveldcollege click for info.nl”>Gerrit Rietveld College en leeftijdgenoten met een vluchtelingenachtergrond van Ithaka, de Internationale Schakelklas in Overvecht. Een leuke en nuttige mix, zo bleek. ‘Die meisjes van het Ithaka hebben heel erg geholpen tijdens de voorbereiding’, aldus Fleur. Ze gaven goede tips. 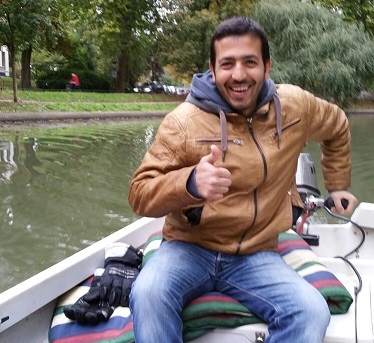 ‘En tijdens het uitje konden zij natuurlijk met de kinderen communiceren.’ Een Syrische vrijwilliger begeleidde de groep vanuit Welkom in Utrecht. 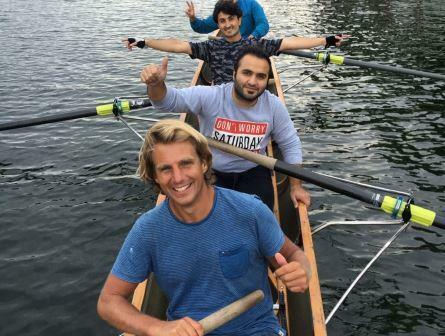 De meiden van het Rietveld kregen een training vooraf van de Nationale jeugdraad.